Here's the latest casualty of cheap oil: ExxonMobil's AAA credit rating. Standard & Poor's stripped one of the America's largest companies, Exxon (XOM), of its perfect rating on Tuesday. The ratings firm cited the energy behemoth's huge levels of debt and the backdrop of low energy prices. S&P also pointed to Exxon's enormous spending commitments tied to its fat dividend payouts and expensive drilling projects. Exxon had a AAA rating since at least 1949, according to S&P. It's a sign of the financial stress that even the mightiest oil companies are under. Cash flows have dried up due to the crash in oil prices, forcing producers to slash spending and to take on more debt. 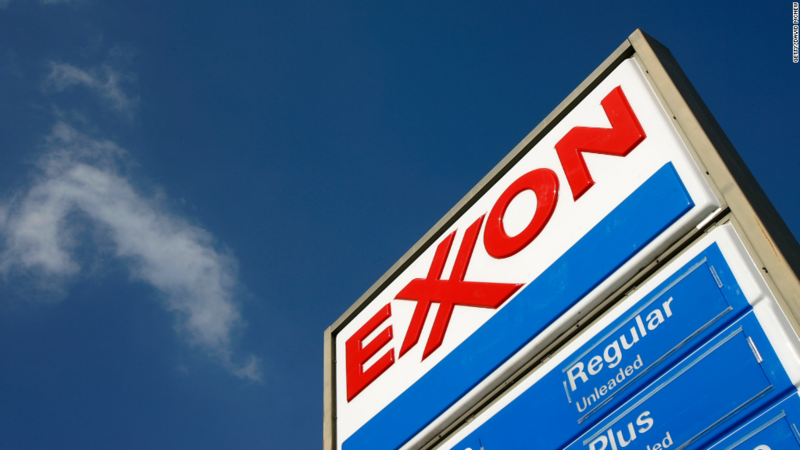 Exxon reported an annual profit of $16.2 billion last year, a 64% drop from the year before. However, its long-term debt has nearly doubled to $20 billion. In a statement, Exxon said "nothing has changed" in terms of its "financial philosophy or prudent management of its balance sheet." The demotion means that Exxon can no longer brag of sporting a higher credit rating than the U.S. government, which S&P famously downgraded in 2011, creating global turmoil. Now the only remaining American companies with AAA ratings are Microsoft (MSFT) and Johnson & Johnson (JNJ). AAA ratings are reserved for entities with an "extremely strong" ability to pay off their debt. The prestigious rating allows them to borrow money very cheaply. Exxon viewed its AAA rating as a "source of pride," said Brian Youngberg, senior energy analyst at Edward Jones who covers Exxon. "The days of having more cash than debt are in the rearview mirror for any of these companies." S&P believes Exxon will eventually have to ramp up spending in order to maintain production and replace depleting oil reserves. S&P said Exxon is likely to return cash to shareholders through dividends and share buybacks, instead of paying down debt. S&P warned it could downgrade Exxon further if the company doesn't cut costs enough or adds more debt to pay for acquisitions or dividends. Despite the downgrade, Exxon isn't likely to face difficult borrowing or paying a lot more in interest. That's especially true given today's environment of super cheap interest rates and the fact Exxon still has a stronger credit rating than its peers. "This really has no financial impact. 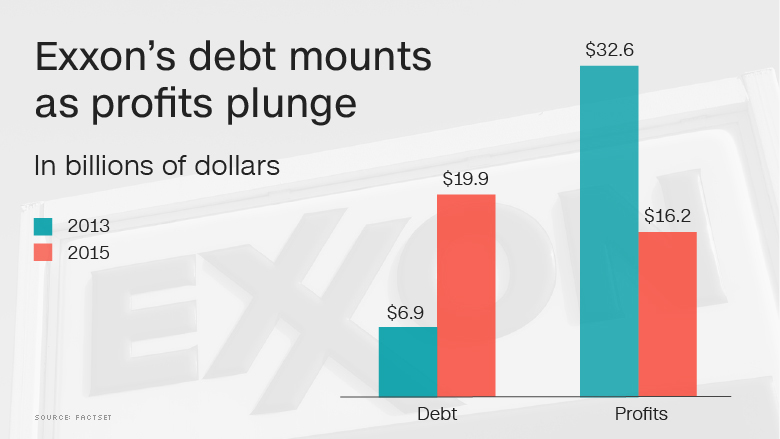 Exxon should have no problem issuing debt in the future at a very low rate," said Youngberg. A number of other big U.S. oil companies have suffered downgrades in recent months, including Chevron (CVX), EOG Resources (EOG), Devon Energy (DVN), Apache (APA), Hess (HES) and Marathon Oil (MRO).